Thanks to Megan Collier Reilly for bringing this to our attention on our Stony Lane Elementary Facebook Page! 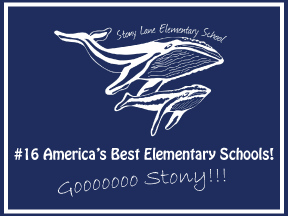 In recognition of our Blue Ribbon Award, our excellent test scores, the awesome enrichment opportunities provided for our students, and our exceptional teachers and staff, and of course our hard-working students, Stony Lane was recently named #16 in America’s Best Elementary Schools by TheBestSchools.org. Click here to view all 50 Top Schools! Go Stony!!! 2013-2014 was an exceptional year! 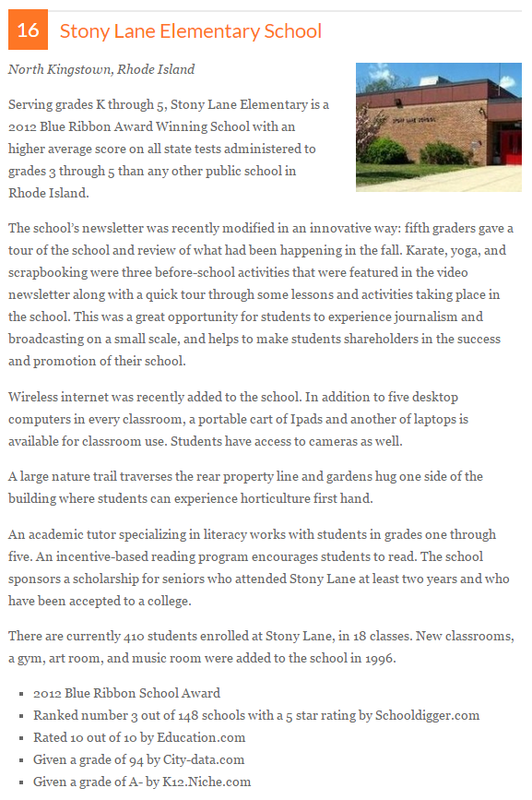 This Week at Stony: The Pamela Lemoi Playground Dedication, Teacher Appreciation, Outdoor Garden, and more! This week at Stony: Retirement gifts, bbq, and lots of pictures! Happy summer! ← Mrs. Lemoi’s Memory Book – submissions needed!